Real Estate Blog – Featuring Austin Texas Real Estate Information And More! September is National Preparedness Month and week one is dedicated to flood prep. Check out some of the facts on this graphic from Ready.gov. And it’s not just the flash flooding from fickle Central Texas rains to watch out for. The fact check below highlights new construction as a potential cause of flooding and yes, we still have tons of new construction all over the Austin Metro Area. Check it out and join our efforts to get prepared, just in case, now! AUSTIN, Texas – August 20, 2015 – According to the Multiple Listing Service (MLS) report released today by the Austin Board of REALTORS® (ABoR), Austin-area home sales hit an all-time high, increasing 12 percent year-over-year to 3,149 sales for the month of July. According to the report, the median price for Austin-area single-family homes increased eight percent year-over-year to $269,500 in July 2015, while average price increased six percent to $338,452 during the same time frame. In July 2015, less than 30 percent of single-family homes sold in Central Texas were priced below $200,000, outside of an affordable range for many Austin-area homebuyers. The majority of pending sales and active listings fall outside of Austin’s city limits in surrounding areas like Cedar Park, Leander, Hays County, Round Rock and Pflugerville, showing that Central Texas residents are continuing to prioritize affordability. Once again, total dollar volume topped $1 billion, reaching $1,065,785,348 and increasing 19 percent compared to July 2014. New listings increased nine percent to 4,133 listings and active listings increased by five percent year-over-year to 7,174 listings, driving inventory levels up to three months for the first time since July 2014. However, Austin-area housing inventory is still well below the 6.5 month level, which the Real Estate Center at Texas A&M University cites as a balanced market. Pending sales rose eight percent year-over-year to 2,873 listings and homes remained on the market for an average of 41 days, or two days more than July 2014. 3,149 – Single-family homes sold, 12 percent more than July 2014. $269,500 – Median price for single-family homes, eight percent more than July 2014. $338,452 – Average price for single-family homes, six percent more than July 2014. 41 – Average number of days single-family homes spent on the market, two days more than July 2014. 4,133 – New single-family home listings on the market, nine percent more than July 2014. 7,174 – Active single-family home listings on the market, five percent more than July 2014. 2,873 – Pending sales for single-family homes, eight percent more than July 2014. 3.0 – Months of inventory* of single-family homes, unchanged compared to July 2014. $1,065,785,348 – Total dollar volume of single-family properties sold, 19 percent more than July 2014. The volume of townhouses and condominiums (condos) purchased in the Austin area in July 2015 was 317, a four percent decrease from July 2014. The median price for condos was $224,850, which is 10 percent more than the same month of the prior year. When compared to July 2014, these properties spent 42 days on market, or five more days than July 2014. 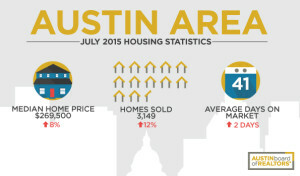 In July 2015, a total of 2,187 properties were leased in Austin, which is nine percent more than July 2014. The median price for Austin-area home leases was $1,550, three percent higher than in July 2014.
marketing@abor.com or 512-454-7636. For the latest local housing market listings, visit AustinHomeSearch.com. It’s Not Central Texas, But It Is My Home Town! While I highly encourage you to stay here in the Austin metro area, if you head northbound, give little ole Coppell a try! And though we no longer sell homes in the DFW metroplex, we have a handful of very close friends who are ready to assist if you do! Hard to believe but it’s already May which means it’s National Moving Month! May marks the beginning of the peak sales season for real estate where we’ll see nearly 50% of 2015’s housing transactions take place. If the reported number of homes going pending in April holds true, we’ll see a 10-year high in closed units during May; a record we may break several times this summer as interest rates remain below 4%. More than half of our May 2015 home sellers built their plan with us a year ago. Whether you are ready to make a move this summer or are considering one for next year, we should meet now and build the plan together! May is National Barbecue Month! 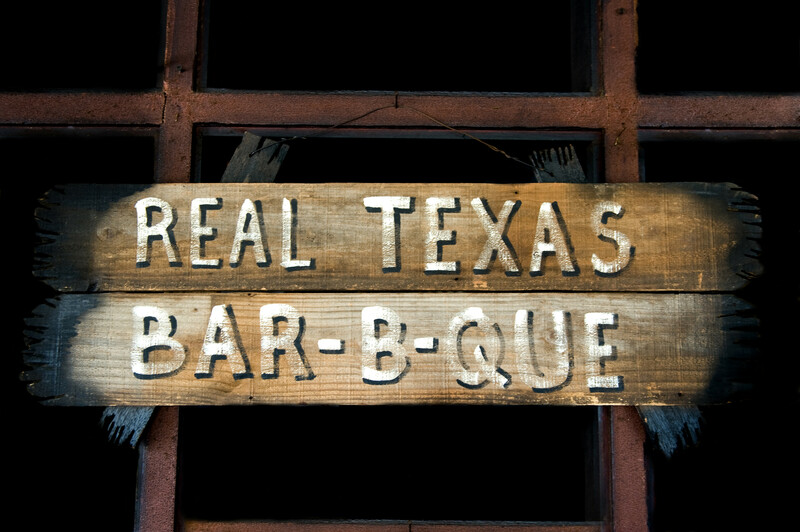 May is National Barbecue Month; though I suppose every month is BBQ month here in Central Texas! From the brisket explosion over the past few years that cemented Austin’s place on the BBQ map and helped win Aaron Franklin a James Beard award to the regulations the Austin City Council are working to place on meat smokers, it’s clear Central Texans are passionated about smoked meat goodness. 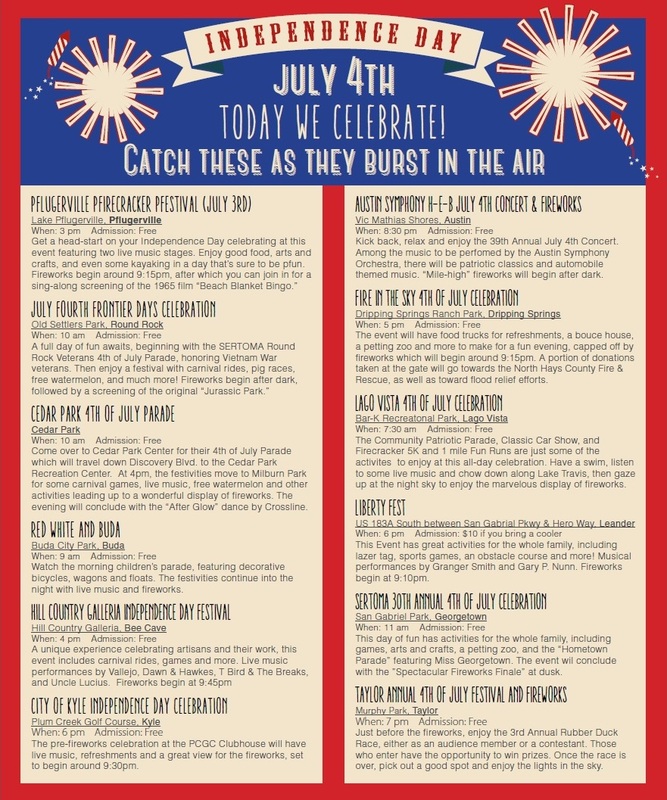 To me, Austin is the center of the BBQ universe and we’ll be celebrating all month long both at the amazing local establishments and of course at home. If you are looking for recommendations on one of the newer establishments or maybe some grilling ideas let me know! I promise not to “steer” you wrong. After all, I’m a certified BBQ judge. I have a badge and all! Read Austin 360’s wonderful write-up on Aaron Franklin’s James Beard Award here! AUSTIN, Texas – April 21, 2015 – Austin-area single-family home prices hit an all-time high, while single-family home sales volume set a record for the month of March according to the March 2015 Multiple Listing Service (MLS) report released today by the Austin Board of REALTORS®. According to the report, the median price for Austin-area single-family homes increased 10 percent year-over-year to $255,000 in March 2015, while average price increased 13 percent to $334,758 during the same time frame. 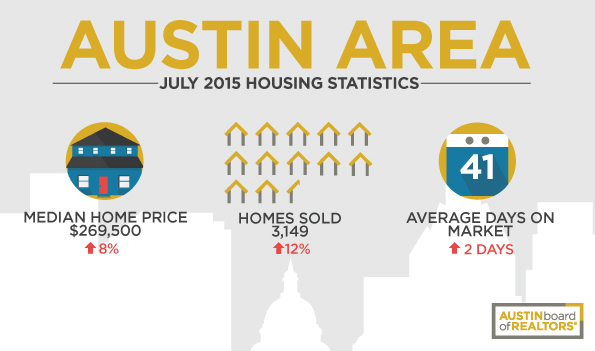 This is the highest Austin-area home prices have ever been. 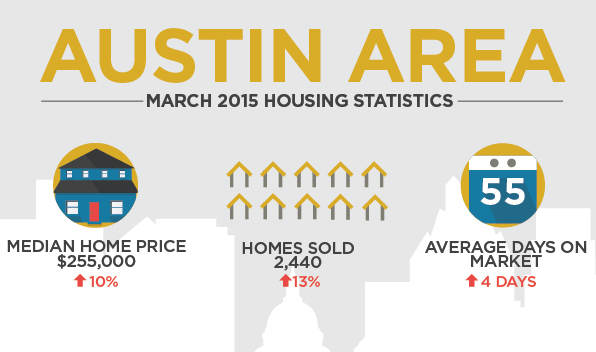 Only three in ten single-family homes sold in the Austin area in March 2015 were priced less than $200,000. Single-family home sales increased 13 percent year-over-year to 2,440 home sales in March 2015, a new record for March single-family home sales volume. In March, more than half of the homes sold in the Austin area were outside of Austin’s city limits, with a majority of sales occurring in Round Rock, Pflugerville, Georgetown, the Cedar Park/Leander area and the Kyle/Buda area. Austin-area monthly housing inventory was statistically unchanged from March 2014 at 2.2 months, a figure still well below the 6.5 month level the Real Estate Center at Texas A&M University estimates as a balanced housing market. Homes continued to spend more time on the market in March 2015, increasing four days year-over-year to an average of 55 days. New and active listings for single-family homes both increased six percent year-over-year to 3,402 new listings and 5,274 active listings in March 2015. Pending sales also rose during the same time frame, increasing five percent year-over-year to 2,812 pending sales in March 2015. 2,440 – Single-family homes sold, 13 percent more than March 2014. $255,000 – Median price for single-family homes, 10 percent more than March 2014. $334,758 – Average price for single-family homes, 13 percent more than March 2014. 55 – Average number of days single-family homes spent on the market, four days more than March 2014. 3,402 – New single-family home listings on the market, six percent more than March 2014. 5,274 – Active single-family home listings on the market, six percent more than March 2014. 2,812 – Pending sales for single-family homes, five percent more than March 2014. 2.2 – Months of inventory* of single-family homes, statistically unchanged from March 2014. $816,809,520 – Total dollar volume of single-family properties sold, 28 percent more than March 2014. The volume of townhouses and condominiums (condos) purchased in the Austin area in March 2015 was 263, a three percent decrease from March 2014. The median price for condos was $226,500, which is one percent more than the same month of the prior year. When compared to March 2014, these properties spent 10 fewer days on the market, or an average of 43 days. 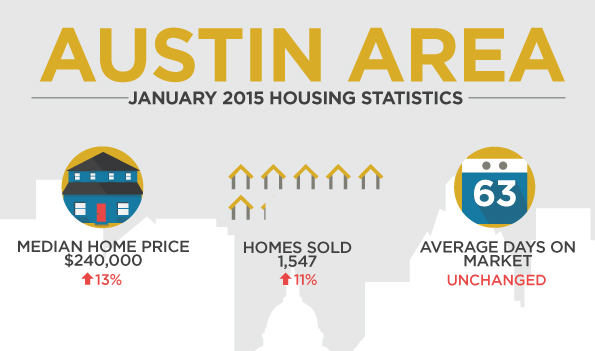 In March 2015, a total of 1,348 properties were leased in Austin, which is 12 percent more than March 2014. The median price for Austin-area home leases was $1,500, which is three percent more than the same month of the prior year. Good afternoon and happy belated Easter! The week immediately following Easter Sunday always represents the beginning of the busy season for Realtors. As the inventory starts its annual climb and the sales really kick into overdrive, let’s take a brief moment and look back at the first quarter of 2015. Today, our local board has roughly 5,675 active single family listings (stand-alone houses, condos & townhouses). That’s an increase of just under 7% compared to this time last year. The first quarter sales numbers also appear to be increasing in every major category. 6,019 units closed in the first quarter, a 3% increase for the same period last year. The average sold price jumped to $317,565 and the average sold price per foot was approximately $171.67; increases of 10% and 11% respectively. My takeaway is that though the number of listings continues to rise, the sales are keeping up with the listings; and with estimates suggesting a net of 157 new residents are moving here each day, the demand is certainly present which continues to push prices higher. Therefore a market slow down seems unlikely. As we are currently moving into the home sales season, our market is primed for a robust summer and a continuation of the growth we’ve seen the past few years! Still, opportunity is everywhere! 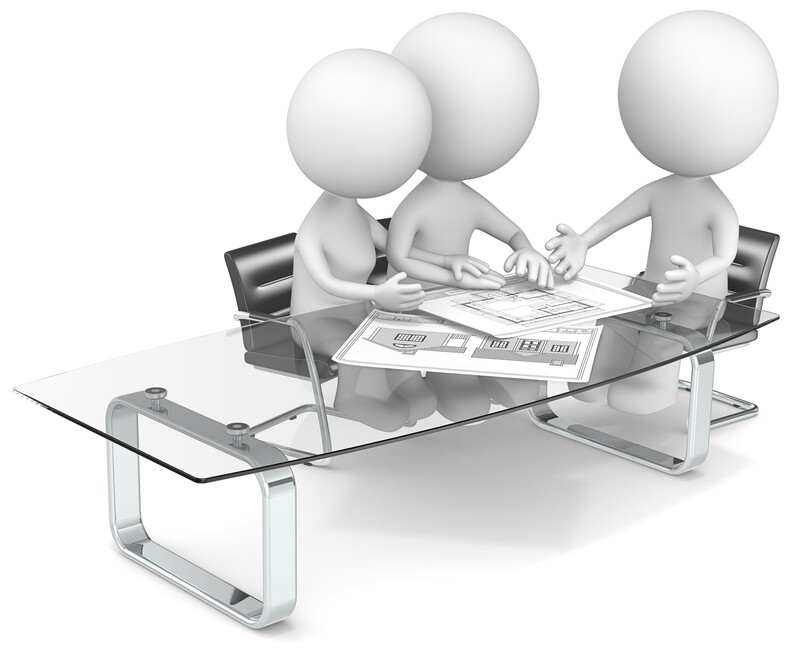 If you are considering a move or real estate investment, or know of someone who is, let’s connect and build a plan together! Once again, real estate sales in the Austin metro area are off to another fast start. While 2014 was a record breaking year, home sales are currently outpacing last year by at least 10% for single family dwellings with many listings still receiving multiple offers and selling over list price! And though early year projections for interest rates ranged from 4.0-4.2% with climbs throughout the year to between 5-5.4%, today the rates remain sub 4% for a 30 year fixed. WOW! I’ll never get tired of seeing rates in the 3’s though I’m afraid those days are numbered. With home values at historic highs and the cost of money still at historic lows home sellers and buyers are sure to be satisfied here in the Austin metro area. Let us know if you are ready to discuss a future move and don’t forget introduce us to your friends, family members and co-workers who are considering the same! Holiday Scavenger Hunt For Austin Pets Alive! Here at Real Estate In ATX, we are proud to support several local charities in town and this year, we’d like to launch a scavenger hunt with your help. My office, Horizon Realty, has adopted Austin Pet’s Alive as our charity for 2014-2015 and we’re kicking it off with a charity drive. Austin Pets Alive has a mission to promote and provide the resources, education and programs needed to eliminate the killing of companion animals. This link will take you to their holiday wish list. Would you mind looking it over and letting me know if you have any items you’re willing to part with? A member of our team will come pick up any donated items so you never have to leave the comfort of your own home! Just drop us a note or email and we’ll take over from there! Thank you so much in advance for your consideration and participation. With your help, we’ll help make it a comfortable winter season for our four legged friends right here in Central Texas. 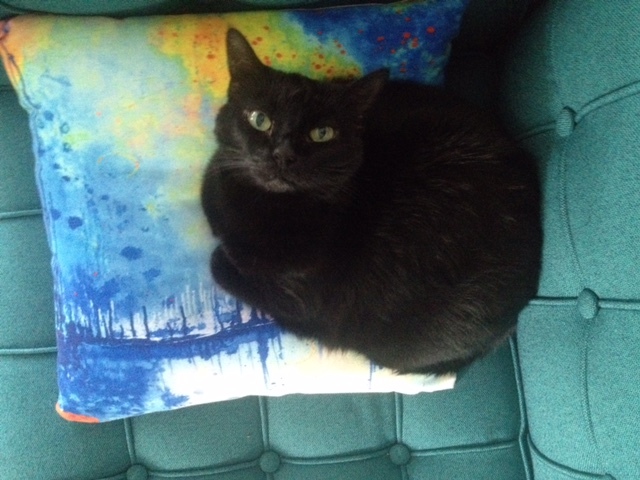 Learn more about Austin Pets Alive here! Our mission is still to deliver personalized real estate services with an emphasis on residential and investment opportunities. 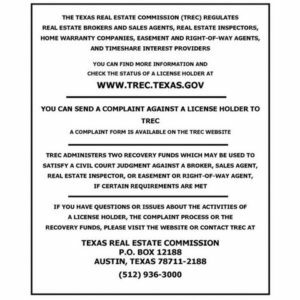 Our goal is to make our clients the most informed current and prospective home owners in Central Texas. What’s Happening In Austin This Weekend? April 20th and 21st? What Is The LG Styler? Should You Buy One For Your Home?